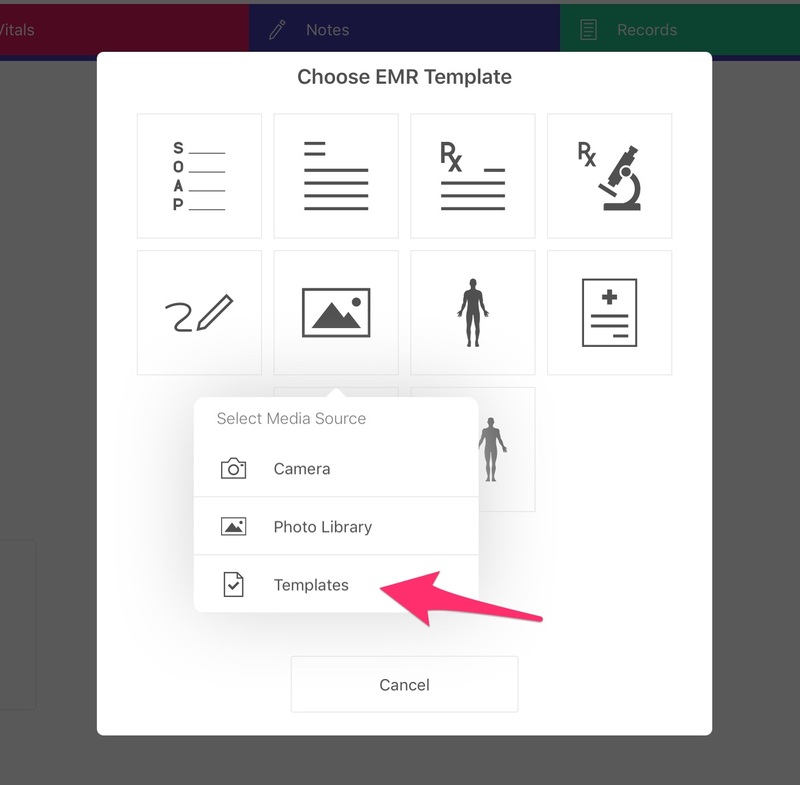 When we initially built and released SeriousMD, we only had a handful of templates but we listened to feedback and kept building towards something that will work for all specialties. Today, you can take the prettiest looking notes and in the most efficient of ways. Basically, you can "Enter your notes, your way" and we're still improving. 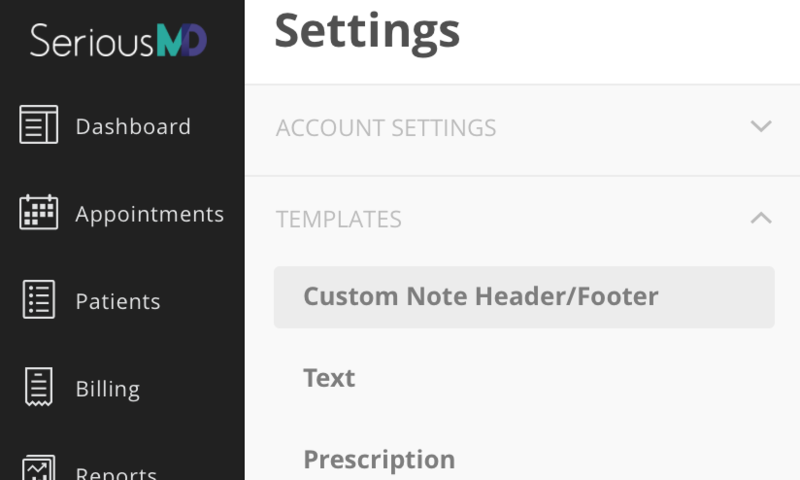 It's very simple to start adding new notes inside SeriousMD. Tap the New Note button under the Notes tab. Pick the template you need on the popup that shows up and start entering your notes. You will see this popup with all the templates "types" that you can use. A FULL SOAP form. It's customizable, provides automation and logic. Whatever way you like to take notes, here's the ultimate SOAP note for you. You also have access to a complete ICD10 database as well as a medicine database. You can create prescriptions or other notes and attach it to your SOAP note. Attach pictures, add remarks, add Vital readings and more. Once the patient comes back for a follow up, just tap the previous SOAP and you'll see a wonderfully organized SOAP note that will amaze you. We even show you a summary preview in the Notes tab! You do not have to fill up every field. This SOAP template adapts to how you like to take your notes. Basic notepad wherein you enter your notes via the built-in iOS keyboard or a separate external keyboard. For prescriptions, use this template. You can search our medicine database. You can save your most commonly prescribed medicines. Easily print it out or even send it to your patients if they lose their copy. Need your patient to get some tests done? Use this template, print it out and sign it! You can even create your own panels to speed up your work with just 1 tap. If you need to draw on a blank canvas, then this is the template you need. You can also write directly if you prefer to write when taking notes. Fingers will do but a stylus will make it more accurate. Snap a picture or import one from your photo gallery. You can then draw on top of the image. Do your prefer writing on paper? Take a picture of it and throw away the paper. With the diagram template, you can quickly highlight and set down your findings on top of a full body diagram. 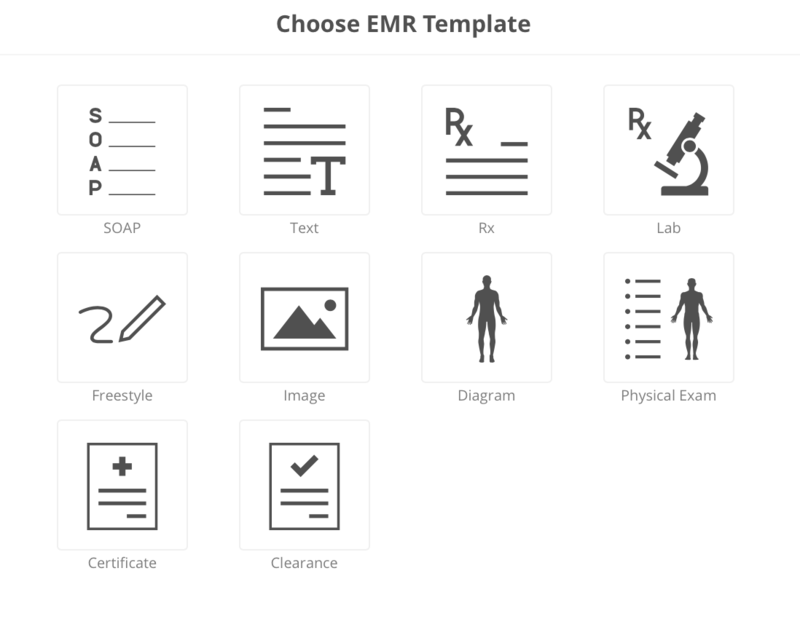 With the PE template, you can easily identify, add notes and tag specific parts of the patient's body. You can also add your own PE-related images. Need to print out a medical certificate? Just use this. Need to print out a medical clearance? In less than a minute, you'll be printing it out with no hassle. 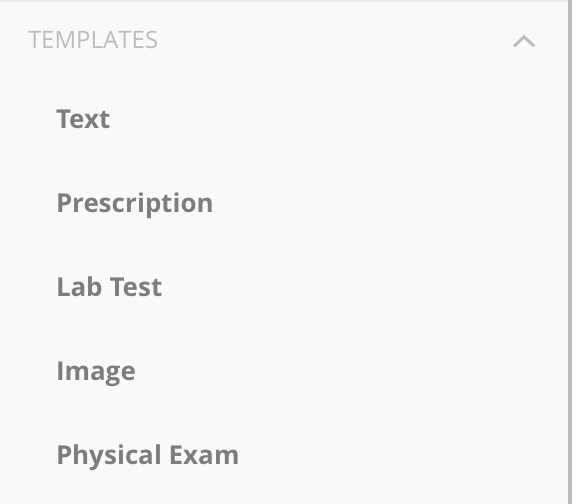 When you create a SOAP note, we added a new button called "Previous Consult" that allows you to "copy" the previous SOAP notes to the current one, so you can easily review and edit from there. How Can I Use My Own Templates? If you have a usual template that you use regularly, be it an image that you show to patients, a form, a letter, an admitting order template, a group of labs you normally let your patients do, a group of medicines that you normally prescribe, a set of medicines that you prescribe to specific patients, etc. Just go to Settings on iOS or web app - under "Templates" you can select the template type that you want to save. Have a specific form / image that I need for my practice. Can you add it for me? You can add it using our templates in the Settings area but we can also help you add them in. Just let us know and we’ll add it for you. We are still building our database for it but you can already access many of them. If you have other suggestions, just send the support team an image and we'll help you. You can now re-use it when you need to. Want to print out your notes? All you need is an AirPrint compatible printer (see list here). Connect the printer to the same wifi network as your iPad/iPhone and when you click the print button, you'll automatically see your printer there. Using a printer that doesn't have AirPrint but has its own over-the-wifi app? Export the note first as an image and open it within the printer app. You can find it in the web app's settings. Under Templates, you'll be able to change the header and footer. Add logos, add information about your practice and adjust the layout as you need it. Want to email the note? Simply tap the share button and you'll be shown the list of available sharing options. You can share lab results and similar documents with the patients concerned too via the export button. You can now also share notes and refer patients privately to other doctors through the SeriousMD Messenger. Try it, you'll love it. How About Keeping Track of Obstetric Data? There are certain data that we think will be more useful if you could organize better rather than the usual way to taking a note. For Obstetric data, we have a separate feature for it that you can find in the patient's Profile tab. It's easy to keep track of your patients. As you can see, SeriousMD helps you calculate age of gestation based on LMP or based on Ultrasound. Note: Don't see it? Press "Profile Settings" to turn it on and sort. How to Complete Present Pregnancy? At the top right of the popup that shows up, you will see a "Completed" button - Press on that. Save your information and that's it! If your specialty needs something specific, just drop us a message and we'll help you.